The light intensity of rear lighting functions in LED technology can be adapted to the specific needs of the drivers and to different weather conditions. This currently allows the development of ARS (Adaptive Rearlighting System) systems similar to AFS (Advanced Frontlighting System) systems. Such systems adapt to different road and driving conditions: for example, adaptive stop lights can be intensified depending on the braking force. 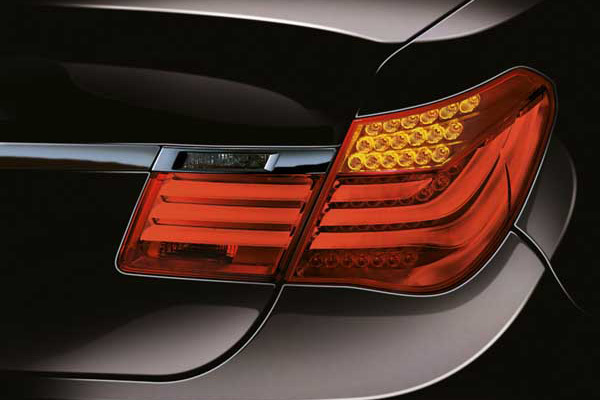 Rear lamp illumination can be adapted to day and night driving. The intensity of brake lights corresponds to braking intensity. Rear lights can be adapted to different visibility and weather conditions. In order to allow optimal vision when backing up, the rear light turns on depending on the direction of the reverse motion.